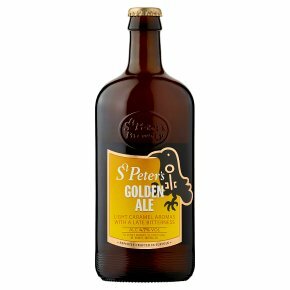 Housed in beautiful old agricultural buildings in Bungay, Suffolk, St Peter's Brewery itself was built in 1996. English pale malts coupled with Challenger and Goldings hops, provide the bitterness and aroma in this highly distinctive, light golden ale that's similar in character to a full-bodied Czech lager. Traditional malts and English hops create a distinctive golden ale with a delicate, fresh, grainy after-taste. Brewed with skill and patience in one of Britain's finest small breweries.